Bail Bonds: Too Much Good to be This Bad! We invite you to read Brian Nairin’s latest blog post at Behind the Paper with Brian Nairin. We look forward to hearing your comments. If you haven’t heard by now, AIA’s Chief Legal Officer Jerry Watson, will be presenting at the upcoming Professional Bondsmen of Texas Conference in Houston April 26th-28th. This past weekend ExpertBail Agent Stephen Owens of Owens Bonding in Wichita, Kansas spoke with radio personality Gene Countryman of KNSS 1330 AM about the difference between bail bondsmen and bounty hunters. The biggest challenge that the bail bond industry faces in today’s marketplace is the lack of understanding of the industry amongst the general public. The North Jersey Regional Chamber met yesterday for the 2011 Star Award Gala in Woodland Park, NJ. 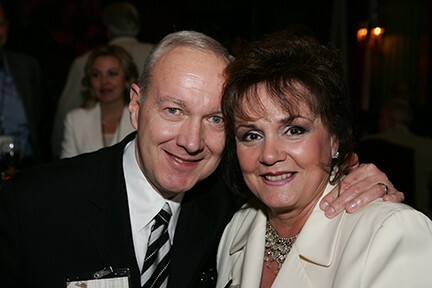 We are proud to announce the recipient of the Commerce Star Award was Ron Olszowy, an AIA agent of almost 30 years. Twas the night before Christmas and all though the house, not a creature was stirring, not even your iPhone, Android or Blackberry. It’s the time of the year when business tends to slow down and you get a well deserved break. 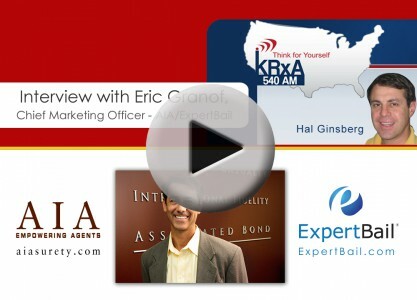 Eric Granof, Chief Marketing Officer of AIA, was recently interviewed by Hal Ginsberg of kRxA 540 AM in Northern California. 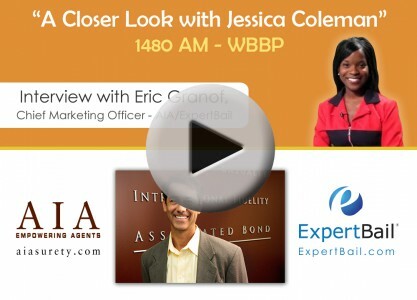 Eric discussed the growth and success of women bail agents. Eric Granof, Chief Marketing Officer of AIA, discusses how bail agents have an important role in the criminal justice system and how they protect our communities and the rights of victims.